Non-enveloped, flexuous and exceptionally long, filamentous particles about 1400-2200 nm in length and 10-13 nm in diameter. The virion body is assembled by the major capsid protein (CP) and the tail by the minor capsid protein (CPm). 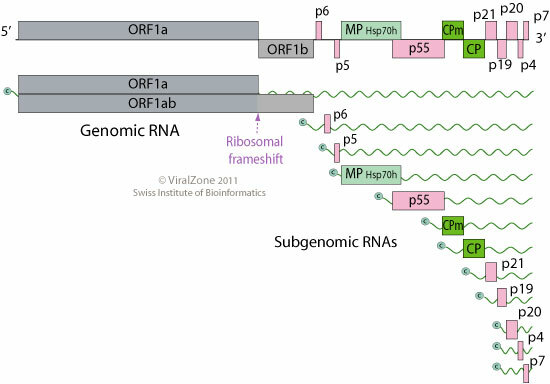 Linear, ssRNA(+) genome of 16.9 to 17.9 kb. 3' terminus has no poly(A) tract and the 5' terminus probably has a methylated nucleotide cap. Encodes 13 proteins.